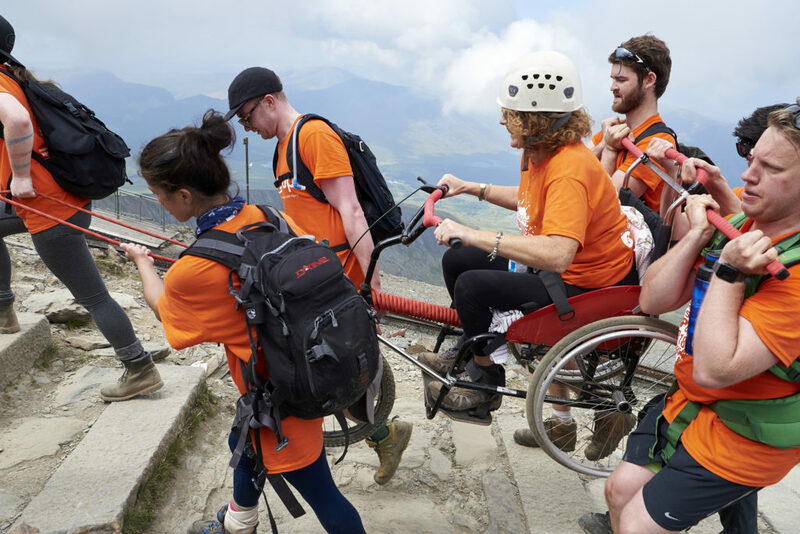 The Snowdon Push is Back Up’s most exhilarating fundraising challenge. It involves teams of between 10 and 16 people aiming to conquer the highest mountain in England and Wales, Mount Snowdon. One member of the team must be a wheelchair user, and together they push, pull and climb towards the summit and back again. 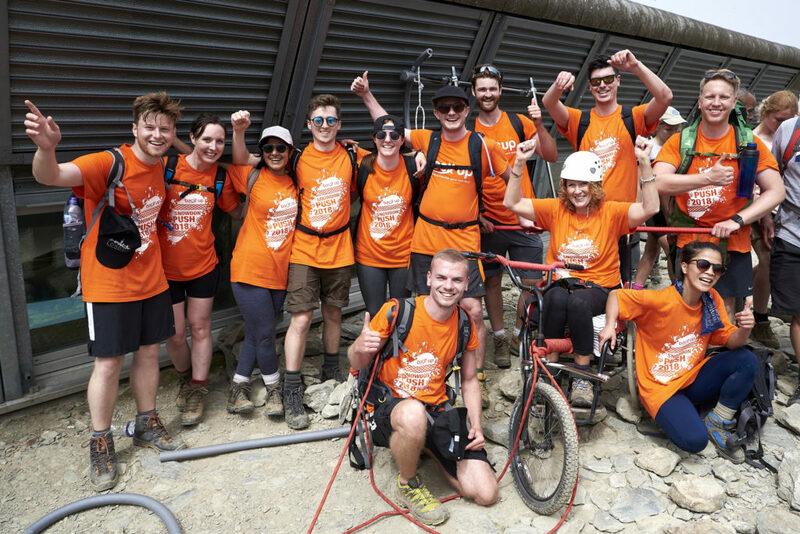 In 2018, our 12 teams raised almost £70,000 – all of which goes towards our work supporting people affected by spinal cord injury. Paula decided to take part and was matched with the ACG Cliffhangers team – an architecture firm from Basingstoke. When the day arrived, Paula felt confident in her team and supported throughout the entire challenge. ‘‘I learnt to put my trust in people I barely knew, but they were very caring and considerate, always checking that I was OK,’’ Paula says. It was a fantastic moment for the entire team to reach the top of Snowdon and realise what they had all achieved together. As they descended the mountain and realised they were nearing the end, Paula and her team made one last push to reach the finish line where they were greeted by a sea of Back Up supporters, clapping and cheering them on. ‘‘We had done it! I felt so emotional and proud to have taken part,’’ Paula adds. If you’d like to take part in The Snowdon Push in 2019, visit the sign up page on our website. You can also email our Events and Challenge Fundraiser Alex or call her on 020 8875 1805 if you have any questions.